When it comes to managing your dog’s diet, we know that you want it to be as healthy and balanced as your own. Just like your own meals, it can be fun to mix up fresh pet food with a variety of healthy additions, like fruits and vegetables. Not only does this make every meal an exciting treat, but also a nutritious one if you select safe and healthy mix-ins for your pet. 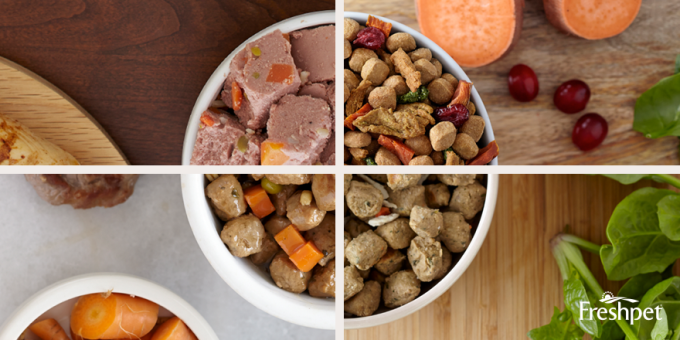 We’ve put together a list of our six favorite ways to mix up our own pets’s Freshpet food. We love these healthy add-ins, and we’re sure your pet will too! Adding yogurt to your pet’s Freshpet is a great way to introduce natural probiotics to your four-legged friend’s meal, which can help with digestion. When choosing a yogurt, stick to plain yogurt, as your pet doesn’t need the added sugars that come with flavored varieties. Both full and low-fat yogurts are fine; your choice will depend on your own pet’s specific dietary needs. The healthy antioxidants, fiber, vitamins, and minerals found in vegetables aren’t just good for humans, they have amazing health benefits for pets too! When choosing to add vegetables to your pet’s Freshpet, dark green and orange vegetables are excellent choices. Vegetables like carrots and sweet potatoes are a great source of vitamin A, vitamin C, potassium, and fiber, whereas asparagus and broccoli will give your pet a boost of vitamin K, folate, and manganese. Mixing up your pet’s diet with fresh vegetables offers healthy benefits, but steer clear of avocado, onions, and mushrooms as they can be harmful to your pet. Just like vegetables, fruits are an excellent source of healthy vitamins, minerals, and fiber. Berries, such as blueberries and blackberries are high in anti-oxidants, vitamins A, C, and E, while cantaloupe and apples contain potassium, fiber, and vitamin C. Taste is an individual thing, so you might find that your pet prefers some fruit over others. Try playing around with your mixtures until you find one that they love. 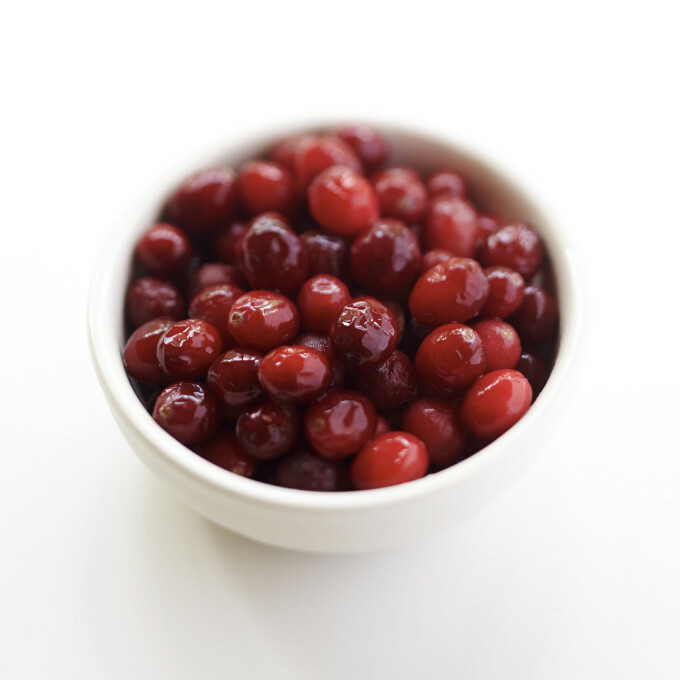 While the majority of fruits are safe for animals, raisins and grapes should never be fed to your pet as they can lead to kidney failure when consumed in large quantities. The same goes for any pits and seeds, as they can be poisons to pets. Whole grains are another good add-in to your Freshpet food, as they contain key nutrients and anti-oxidants that are not available in other food sources. One of the best things about whole grains is that they can contribute to a reduced risk of many issues such as obesity, kidney disease, diabetes, high cholesterol, and heart disease. 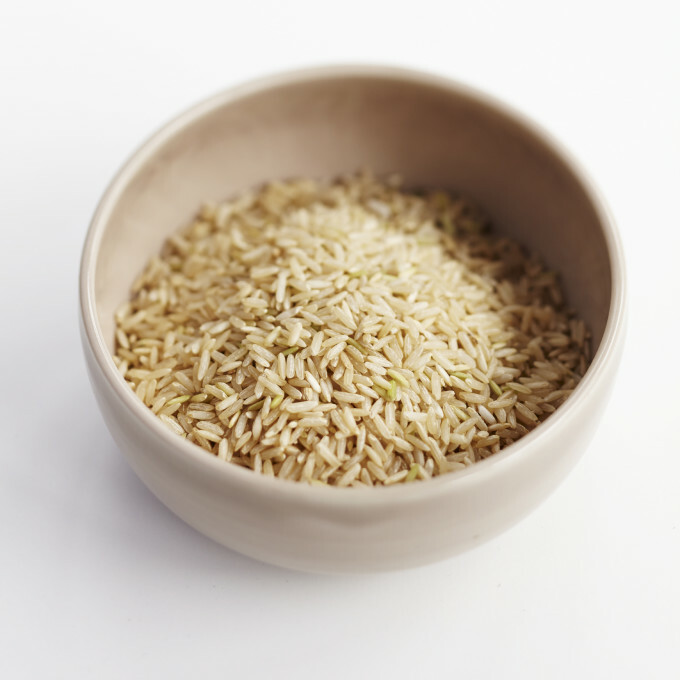 Grains such as brown rice and oats are good ones to start with. 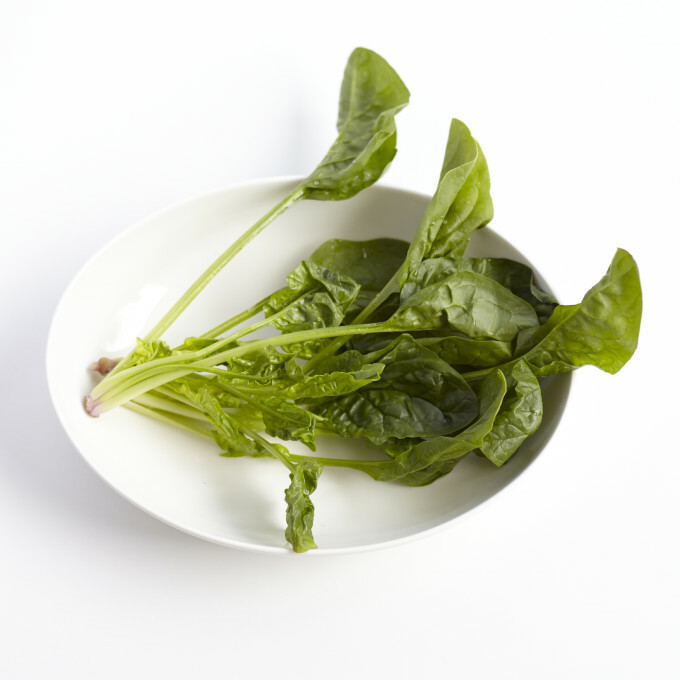 When cooked, they are easy to mix into any meal and are excellent sources of vitamin C, E, magnesium, protein, iron, fiber, and potassium. They’re also gluten free! If you’re looking to sneak a little bit of extra protein into your pet’s diet, eggs are an easy addition. 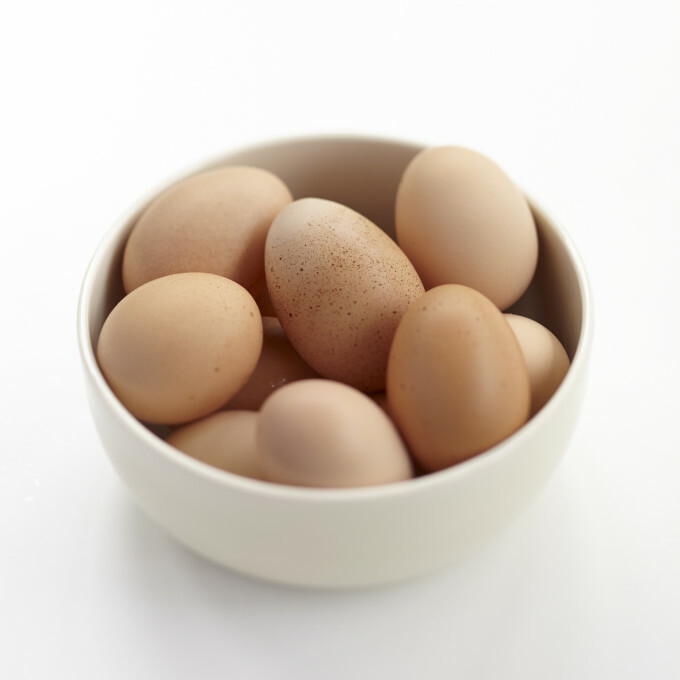 Eggs contain high-quality protein riboflavin, selenium, making it a healthy choice to mix up your pet’s meal. How you prepare the eggs is up to you, whether they are scrambled, soft- or hard-boiled, just make sure that the whites are cooked. Raw egg whites can cause biotin deficiency, which results in dry, scaly skin, dull, brittle hair, itchiness, and skin lesions. A final tip for spicing up your pet’s food is by mixing our fresh and dry Freshpet recipes. Combining different types of Freshpet food will give each dish its own unique flavor, and pets love the different textures of each food. All of our products go well together, so you have free reign to get creative and see what combinations your pet likes best! When adding anything new to your pet’s Freshpet, begin by introducing small portions of only one new food at a time. This way, your pet’s body can slowly adjust to the changes and if something upsets their stomach will be able to pinpoint exactly what’s causing it. Also keep in mind portion sizes as to not overfeed. For more fun ways to mix up your Freshpet food, Like our Freshpet Facebook page.